Slurp! 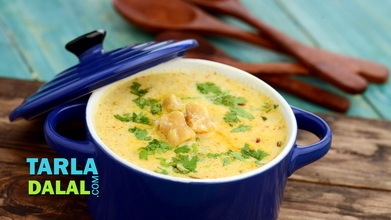 What an exciting flavour this Kokum Kadhi has. 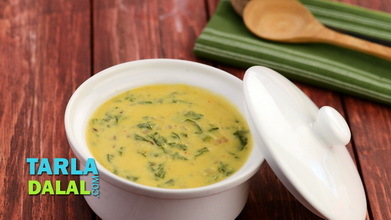 Indeed, the best of homely flavours, tanginess, is the highlight of this recipe. 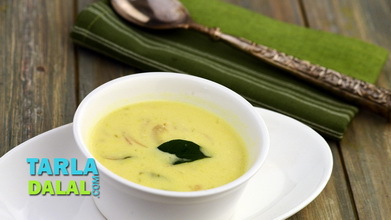 This recipe is quite different from any other kadhi because it uses neither curds nor besan. 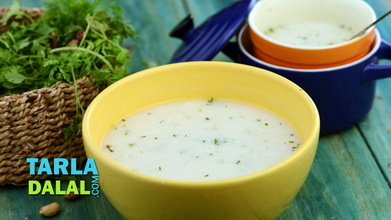 Instead, it harnesses the tangy flavour of kokum and the complementarily soothing flavour of coconut milk to make a well-balanced accompaniment that is sure to be loved by all. 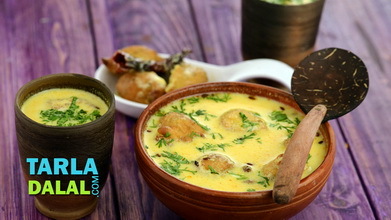 Once you have all the ingredients ready, it takes just minutes to prepare this delectable Kokum Kadhi, making it all the more attractive. Combine the kokum, green chillies, salt in 1½ cups of water in a deep bowl, cover with a lid and keep aside to soak for 15 to 20 minutes. Strain the kokum using a strainer. Keep the kokum water aside and discard the kokum and green chillies. 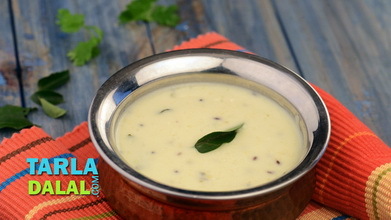 Heat oil in a non-stick kadhai and add the cumin seeds. 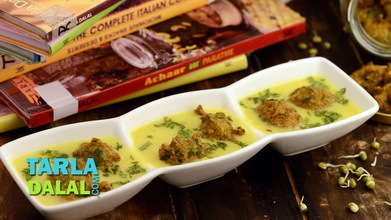 When they crackle, add the curry leaves, garlic and red chillies and sauté on a medium flame for a few seconds. 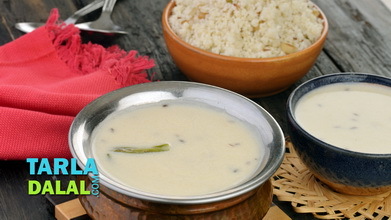 Add the coconut milk, kokum water and salt, mix well and cook on a medium flame for 2 to 3 minutes, while stirring occasionally. 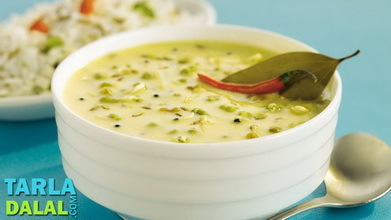 Garnish with coriander and serve hot with rice.